Manor "At Romanyuk" is located in the village. Svityaz, next to the lake. The complex consists of a house with a sauna, a wooden two-storey house and a house with separate rooms. 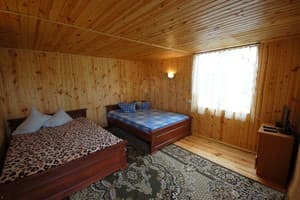 Each room is equipped with necessary furniture and a TV with satellite TV. Cold and hot water is served around the clock. 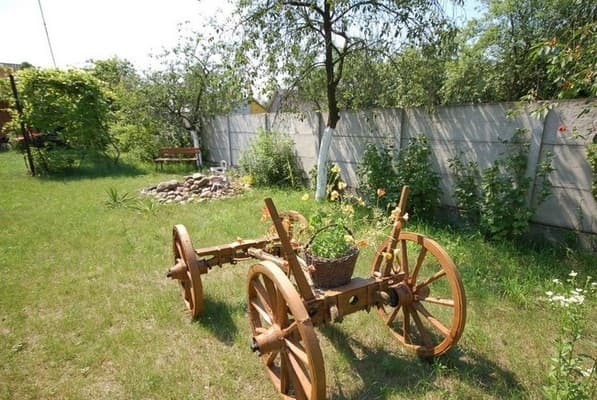 It is also possible to rent a comfortable four-seater campsite on the shore of Lake Svityaz. 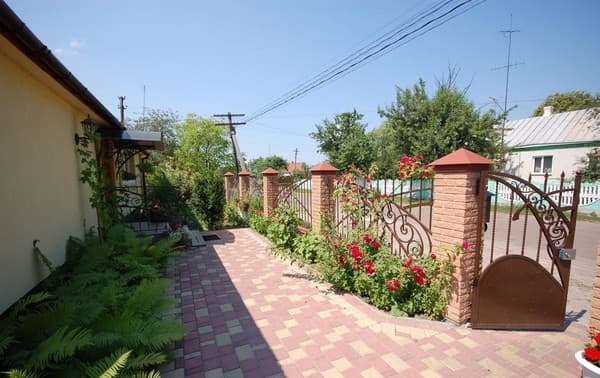 The farmstead "Romanyuka" has a large landscaped area with fruit trees and flower beds, in the courtyard there is a gazebo with stove and oven, TV, barbecue facilities, summer shower, sauna, parking. Each house has a fully equipped kitchen for self-cooking. Distance to smt. Shatsk - 5 km, Kovel - 60 km, the city of Lutsk is 160 km away. PRICES MAY CHANGE! INFORMATION RECEIVED FROM THE OPERATOR! 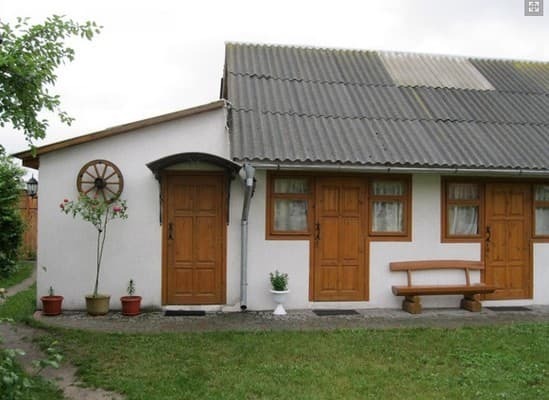 Description of the room: Rooms in the wooden two-storey cottage are designed for accommodation from 2 to 4 people. On the first floor there is one triple and one four-bedded room, on the second floor there are two double rooms. 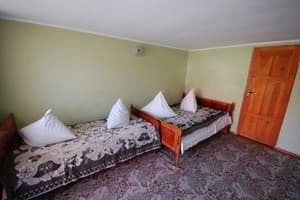 The rooms have double and single beds, TV with satellite TV. The cottage has a fully equipped kitchen, which is equipped with a gas stove, oven, washing machine, refrigerator, kettle, and all necessary utensils. 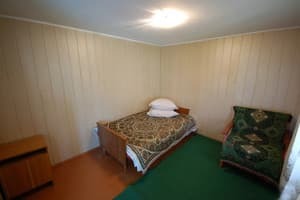 Description of the room: Rooms in the house can accommodate from 2 to 4 people. Each room is equipped with a TV set with satellite TV and a bathroom (toilet, shower, washbasin). There is a common kitchen, which is equipped with a gas stove, microwave, refrigerator, as well as all necessary furniture and utensils. Description of the room: A separate two-storey house can accommodate up to 5 people. On the ground floor there is a sauna, a shower and a toilet. On the second floor - double and triple room. The house has a separate kitchen, next door - a cozy gazebo. The use of the sauna is not included in the price. Отличные удобные номера с санузлами и отдельным входом. Есть кухня, мангалы, дрова. Облагороженный двор с множеством садовых скульптур. 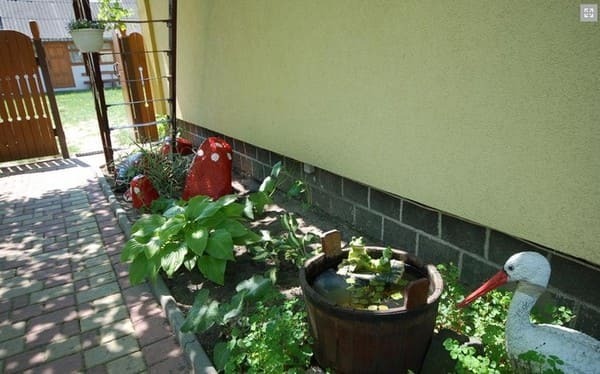 Хозяева весьма интересные люди. Далековато от пляжа, но не критично. Рядом нет нормальных магазинов, только очень мелкие с очень ограниченным выбором товара. Указаны были неверные координаты Широта 51°29′6″N (51.484973) Довгота 23°52′10″E (23.86954). Мы заблудились, местные не могли подсказать куда идти. Когда выяснили, то оказалось, что идти в другую сторону. Children under 3 years are accommodated free of charge in the main places. On the territory of the estate there are fully equipped kitchens for self-cooking. 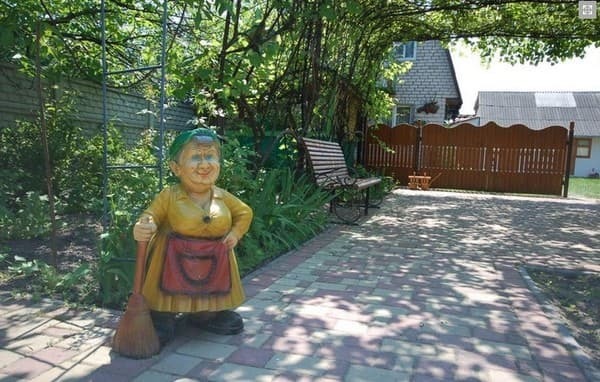 The farmstead "U Romanyuka" is located in the picturesque village Svityaz, 400 meters from the island. Svityaz. By train to the city of Kovel from the station square every half hour, take a shuttle bus to smt. Shatsk or with. Svityaz.